This event took place at 07:30PM on 30th April 2017. 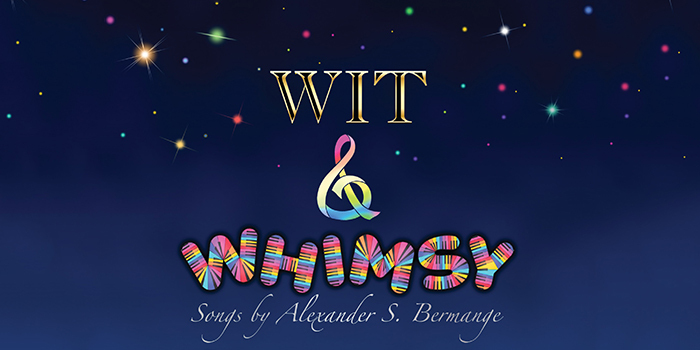 Experience award-winning comic songwriter and performer Alexander S. Bermange with some of the star-studded line-up of popular personalities and leading musical theatre artists who have recorded Wit & Whimsy, a new album celebrating his work. Alexander S. Bermange has acquired a formidable following amongst millions of radio listeners through his many appearances performing his comic songs on BBC Radio 4 and the BBC World Service. Further writing credits for which he has achieved recognition include musicals and theatre productions that have been produced in the West End, around the UK and internationally. Following his successful solo performances at the St James Theatre and the Pheasantry, Alexander will be joined on stage at the Hippodrome by a spectacular selection of special guests, including some of the 23 celebrities and West End stars who feature on the Wit & Whimsy album (Simon Bailey, Lucy May Barker, Ian Bartholomew, Gina Beck, David Bedella, Tracie Bennett, Sanne den Besten, Christopher Biggins, Richard Carson, Anna-Jane Casey, Phil Daniels, Cassidy Janson, Amy Lennox, Sam Lupton, Miriam Margolyes, Craig Mather, Laura Pitt-Pulford, Nigel Planer, Ben Richards, Lauren Samuels, Oliver Savile, Gemma Sutton and Emma Williams). The performance, like the album, will comprise a generous selection of Alexander’s latest and greatest comedic musical creations. Some are portraits of crazy characters such as obsessive trainspotters, tone-deaf singers or would-be fairy-tale princesses; others are tongue-in-cheek celebrations of modern day technology, automated telephone answering systems, or the world of showbiz; others take the form of tales with twists or tongue-twisting lists. They all amuse and entertain in equal measure. Further information about Alexander’s work, and video extracts of him in performance, can be found at www.bermange.co.uk. For the most up-to-date line-up of artists, please follow @Bermange.